Location: Billy, in the Allier departement of France (Auvergne Region). Notes: The Château de Billy is a castle of the thirteenth century located in the municipality of Billy 14 km north of Vichy in the Allier (France).Although one does not know the date of construction of the castle or even the entire historical reality concerning the occupation of the site (the origins may go back to the Gallic period and especially Gallo-Roman) before the appearance of this "castrum ", it is possible to establish a chronological age that involves the establishment of a fortified building near the one that exists today. 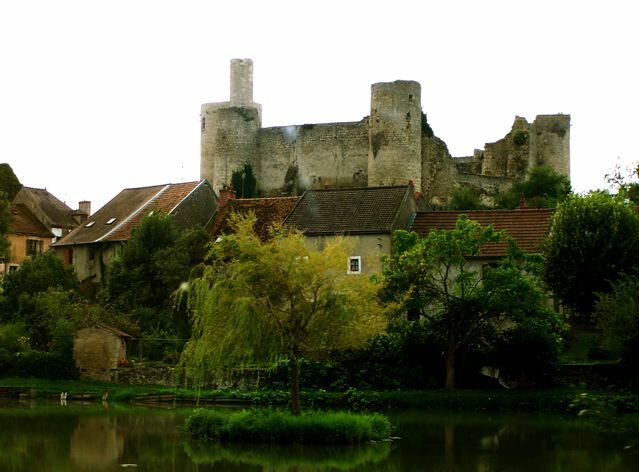 Indeed, the study of architecture (Philippian) and the historical context (Auvergne conquest by King Philip Augustus of France until 1213) coupled with some textual sources and archaeological data suggests that Billy fortress was built early in the thirteenth century probably undergoing thereafter (especially after 1232), of greater or lesser changes.